This is a rare opportunity to acquire one of the most sought-after retail locations in the Ojai Valley. 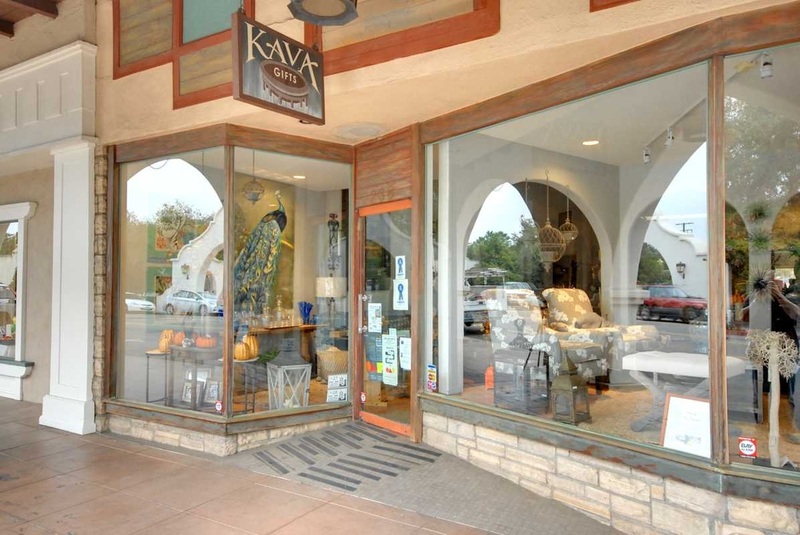 For more than 100 years, downtown Ojai Avenue has been Ojai’s central shopping district, and the historic Arcade shopping center continues to be the most popular retail hub in this area. The approximately 2,009-square-foot store is currently the home of an interior design and gift boutique, the owner of which is on a month-to-month lease. The area behind the store on this approximately 2,964-square-foot lot is included, which provides the buyer with the opportunity to expand the store, construct an additional building, or use the well-manicured space for art installations or an outdoor gathering place. Inside this centrally located, upgraded retail space, there is a large room for use as a storage room or office, a bathroom, a backdoor to the included exterior space and a raised stage area to showcase your wares in the highly visible window display. Arched alcoves that reflect the style of the famous arches of the Arcade provide additional display space, while the Spanish-tiled floor provides an ideal foundation for commercial endeavors of all sorts. 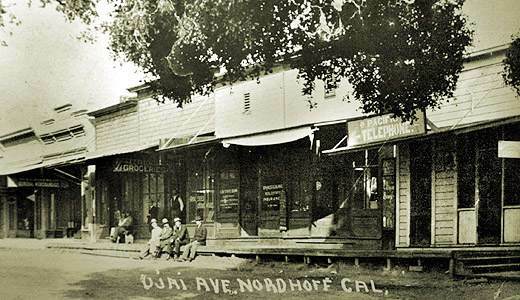 The village of Nordhoff – which would later become the City of Ojai – was established in 1874, and by 1900, there was a well-established row of storefronts along Ojai Avenue. Just a few years later, in 1916, construction began to replace these wood-façade stores with the Spanish-style Ojai Arcade shopping center we see today. Funded by town benefactor, Edward Libbey, and designed by San Diego architects Richard Requa and Frank Mead, construction was complete in 1917, which is the same year the town’s name was changed from Nordhoff to Ojai. 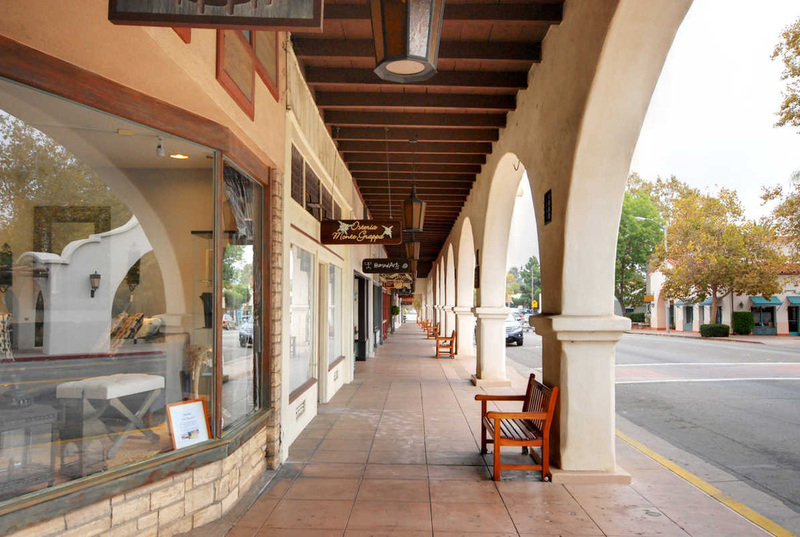 The available retail space in this historic building is adjacent to the iconic Rains department store, which is the anchor of the Arcade shopping center and has been part of downtown Ojai’s shopping district since its origins as a hardware store in 1874. This available shop also has its own place in Ojai history as it has been owned by a local family for more than 50 years and is perhaps best known for its long reign as Mrs. Fitzgerald’s dress shop. While this Ojai retail space is now leased by an upscale interior design and gift store, Mrs. Fitzgerald’s portrait still graces the wall, reminding us of this shop’s place in Ojai history and a time when the fine ladies of Ojai insisted on acquiring their wardrobes from the most sought-after purveyor of dresses in town. Today, the Arcade offers an eclectic mix of high-end boutiques, restaurants, art galleries, locally owned shops offering artisan-crafted furniture and jewelry, and public art pieces in the historic Arcade Plaza, located just behind this available retail space. 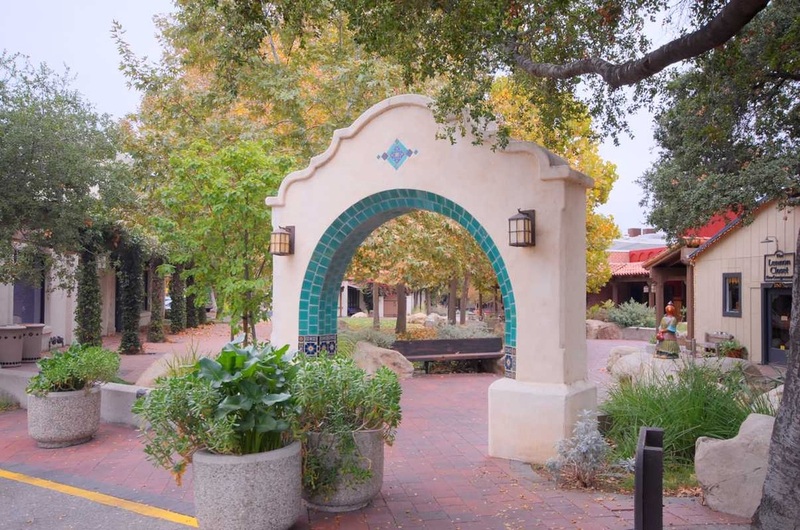 Also behind the Arcade is the location of the Ojai Certified Farmers’ Market where, for nearly 20 years, Ojai residents and weekend visitors have gathered to find local honey, olive oil, jams, breads, flowers, fruits and vegetables. This popular market takes place every Sunday just behind the Arcade, bringing even more shoppers to the downtown area and just steps away from this available Arcade retail space. Directly across Ojai Avenue from this shop’s front door is the entrance to Libbey Park, which was first developed by Edward Libbey. Libbey later donated the park to the Ojai Civic Association in 1917. 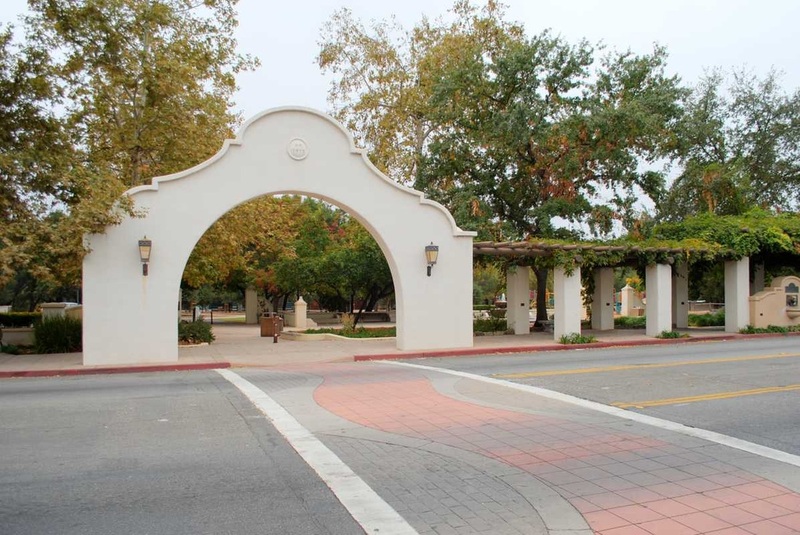 In 1971, this organization deeded the property – known as Civic Center Park – to the City of Ojai, and the park was renamed Libbey Park in honor of Edward Libbey. With tennis courts, play structures, public art pieces, a bandstand and the famous Libbey Bowl, Libbey Park is a community gathering place where locals and visitors come together for afternoon play dates, morning tennis matches and popular annual events, such as the Ojai Music Festival, the Ojai Lavender Festival, the Storytelling Festival, and Fourth of July and Memorial Day celebrations. The popularity of Libbey Park, Libbey Bowl and the many events that take place throughout the year ensure a steady stream of foot traffic and exceptional visibility for store owners lucky enough to have Arcade shops with frontage on Ojai Avenue. Contact Nora to learn more about this great opportunity to own one of the most desirable retail locations in Ojai. The owner will consider taking a first trust deed on the property for qualified buyers. To learn more about Ojai, visit the About Ojai page. 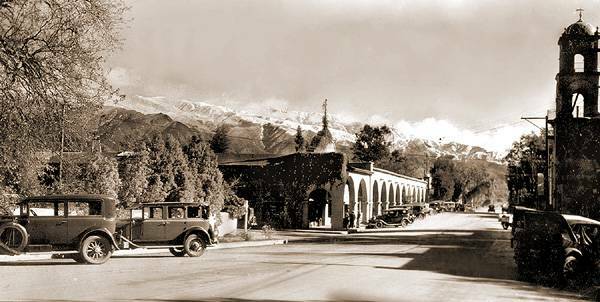 To view past photos of Ojai or learn more about Ojai History, visit the Ojai Valley Museum website.